Creating a memorable experience for clients where they feel heard, valued, and respected creates an environment where you don’t just keep the current clients happy, you turn them into ambassadors who can’t wait to share their positive experience with everyone they know. That’s important! With today’s technology and social media options, our client’s voice is louder than it ever has been in years past. In an age of automation and technology, quality interactions are a powerful option for differentiating yourself from the competition. Customer service matters to our clients so much that 86% of them will actually pay more for a better customer service experience. On the flip side, there is an increased cost associated with poor client interaction. In fact, recent studies report that 89% of customers quit doing business with an organization based on a negative customer service experience. Additionally, although an average of 9 clients will tell others about good experiences, and we can count on an average of 16 people to share their poor experiences. 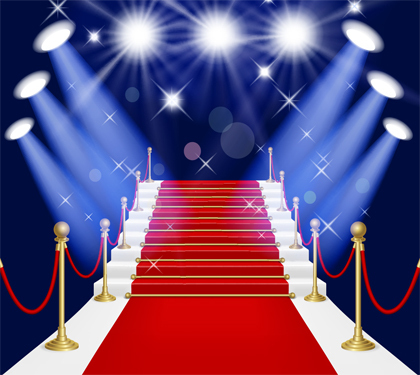 As an Account Manager with over 30 years of experience, I’ve learned a few things about rolling out the red carpet for clients and creating the kind of celebrity experience that will create a buzz and turn your clients into your number fans. This aspect of your service is extremely important to the clients. Clients don’t want cookie-cutter service. When dealing with customers, we need to listen to their needs and strive to create a unique and remarkable experience. Our clients want to know that their concerns are our concerns. We impress clients when we show that we aren’t afraid to think outside the box and develop meaningful solutions that solve their problems. At Justifacts, we make sure our clients know that we are available to help with any questions that they might have concerning their background screening searches. Being proactive in communicating with clients and providing notices of any changes or updates as they are happening, helps to reassure clients that we respect their timelines and have the situation under control. Clients rely on us to pay attention to all the details and discuss any changes that might benefit them with their ordering process, packages or issues that may come up. This lets the client know that they are important to us and that we want to make their experience with us a pleasant and long-lasting one. It is important to let our clients know that we want to build a trust with them and make sure they know we value our relationship. Justifacts’ clients know that they can trust us to consistently provide the best background screening service that we can. We will always make sure that we give them the “Star Treatment” that they deserve. Great customer service doesn’t take a day off. No matter who a client talks to at your organization, the experience should always be the same. Every team member should be trained and provided with opportunities to develop their customer service skills. Remember it only takes one negative interaction for a valued client to begin looking elsewhere. Educate, encourage and excite employees to provide great service when it comes to background screening. Building close relationships with clients are essential to an organization’s stability and growth. When we treat our clients like stars, they reward us with loyalty and referrals. That’s the kind of happy ending we can all appreciate!